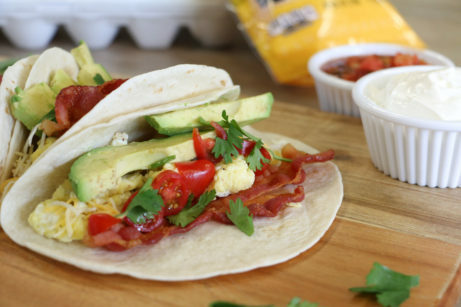 Scramble eggs in butter, and cook bacon until crispy. 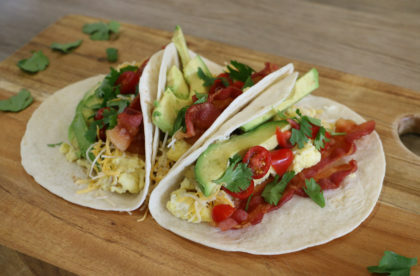 Slice tomatoes, avocado, and cilantro. 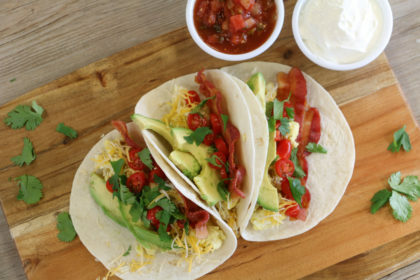 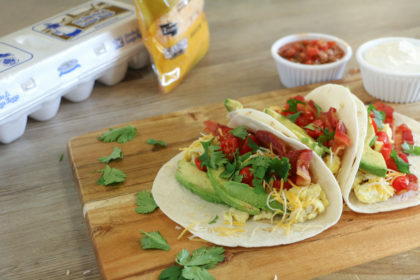 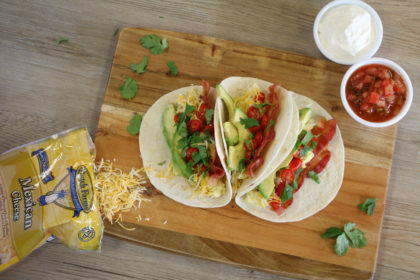 Assemble tacos with eggs, cheese, bacon, avocado, tomato, and top with salsa and sour cream.